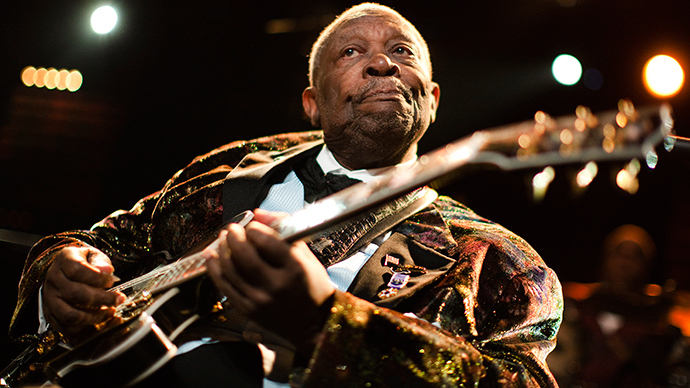 An autopsy has been performed on legendary blues singer and guitarist BB King, following accusations from his daughters that he was poisoned by his own staff. King died earlier this month at the age of 89. The Clark County coroner's office said on Twitter that it had taken jurisdiction over King's body. An autopsy was performed on Sunday, but results could take up to eight weeks. The singer's body has since been returned to a Las Vegas mortuary. King's daughters, Karen Williams and Patty King, allege that King – who died on May 14 – was poisoned by two long-time associates. According to the women, business manager LaVerne Toney and personal assistant Myron Johnson prevented them from visiting their father in his final days while they hastened King's death. The daughters made the claims in separate affidavits filed over the weekend. "I believe my father was poisoned and that he was administered foreign substances. I believe my father was murdered," they said, according to documents submitted to AP by their lawyer, Larissa Drohobyczer. But Brent Bryson, an attorney for King's estate, said the allegations were “extremely disrespectful” to the legendary blues singer. "He did not want invasive medical procedures," Bryson added. "He made the decision to return home for hospice care instead of staying in a hospital. These unfounded allegations have caused Mr King to undergo an autopsy, which is exactly what he didn't want." Toney, who worked for King for 39 years, is named on King's will as an executor of his estate – which could total tens of millions of dollars, according to court documents. He also had power-of-attorney over the singer's affairs. A week before the singer's death, Williams tried to take over the role of King's guardian, but the case was dismissed by a Las Vegas judge. A petition alleged that Toney had blocked King's friends from visiting him, that large sums of money had disappeared from the singer's bank accounts, and that Toney had added her family members to King's payroll. The allegations come just one day after a public viewing of the singer drew more than 1,000 fans and mourners. A procession and memorial are scheduled in Memphis on Wednesday, followed by a Friday viewing and burial in King's hometown of Indianola, Mississippi.